Marine and coastal resources management and Earth Observation (EO) of coastal ecosystem based on satellite remote sensing. Specifically research relates to subjects including mangrove forest degradation, biodiversity, ecosystem service, and economic valuation, and marine ecotourism. 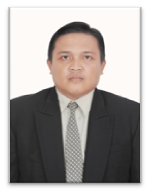 2006 – Present : Lecturer at Department of Geography, Faculty of Mathematic and Natural Science, State University of Makassar. 2014 – Present : Part time consultant at Geo-Energi Nusantara company. 2012 – 2016 : PhD The Indonesian Directorate General of Higher Education (DIKTI) Scholarship at Section of Geography Department of Geosciences and Natural Resource Management Faculty of Science University of Copenhagen. 2002 – 2006 : Lecturer Assistant atDepartment of Geography, Faculty of Mathematic and Natural Science, State University of Makassar. 2000 – 2002 : Researcher Assistant at Study Center for Coral Reef University of Hasanuddin. May-July 2000, Internship at Hydro-Oceanography of Indonesia National Army for the project “Development of private port Aneka Tambang company Indonesia in Sololo Bay, Central Halmahera of North Maluku. December 1999-February 2000, Internship at Center for Basic Mapping of Marine and Aerospace Agency of National Survey and Mapping in Cibinong Bogor Regency. 2015, PhD project “Change detection and sustainable policies of mangrove forests” Department of Geosciences and Natural Resource Management, University of Copenhagen. 2009, Leader of the project “Disaster management of abrasion and sedimentation in coastal area of Bulukumba District South Sulawesi”.National Strategic Research scheme. The Indonesian Directorate General of Higher Education (DIKTI) Ministry of Education Indonesia. 2009, Leader of the project “Air quality and environmental analysis of fuel station (SPBU 74.919.98 Padang AlipanTelluwanua, Palopo District)” in order to provide document of Environmental Management and Monitoring Effort (UKL/UPL). 2009, Leader of the project “Air quality and environmental analysis of fuel station (SPBU 74.911990 KappunaMasamba, North Luwu District)” in order to provide document of Environmental Management and Monitoring Effort (UKL/UPL). 2008, Leader of the project “Air and water quality analysis of the flats Muhammadiyah Makassar University” in order to provide document of Environmental Management and Monitoring Effort (UKL/UPL). 2008, Leader of the project “Feasibility study of mangrove re-planting area in coastal of Sanjai-Pasimarannu village, Sinjai District”.Young Lecture Research scheme. The Indonesian Directorate General of Higher Education (DIKTI) Ministry of Education Indonesia. 2007, Leader of the project “Land cover study using remote sensing and GIS application in coastal area of Sinjai District”. 2005,Master project “Development strategy of marine ecotourism in Sembilan Island, Sinjai District, South Sulawesi”. University of Hasanuddin. 2005, Member of the research team Study Center for Coral Reef Hasanuddin University for the project “Space use of Marine and Coastal Area Makassar City”. 2005, Member ofthe project “Water quality analysis as pollution indicator in BarrangLompo Island, Makassar City”. 2003, Member of the Department of Marine Science Hasanuddin University team for the project “Strategy planning of marine and coastal management Sinjai District, South Sulawesi”. 2001, Member of the social–economic survey team of Coral Reef Rehabilitation Management Project (COREMAP) South Sulawesi for the project “Social-economic assessment in Northern Sinjai District and Sembilan Islands of SinjaiDistrict, South Sulawesi”. 2001, Member of the Oceanography team of Coral Reef Study Center of Hasanuddin University for the project “The management prime plan project for small Islands in SpermondeareaPangkepDistrict, South Sulawesi”. 2001, Member of the Hydro-Oceanography team of Marine Science Department Hasanuddin University for the project “Jetty Building in Salajangki Villages, Gowa District, South Sulawesi”. 2001, Member of the Hydro-Oceanography team of Marine Science Department Hasanuddin University for the project “Development of fishing harbor in Kaili and Mattoanging Villages Bisappu, Bantaeng District, South Sulawesi”. 2001, Member of the Oceanography team of Marine Science Department Hasanuddin University for the project “Inventory of marine and fishery in SinjaiDistrict of South Sulawesi”. 2000, Member of the Oceanography team of Marine Science Department Hasanuddin University for the project “Profile of marine park at Dutungan, Bakki, and Batukalasi Islands Barru District, South Sulawesi”. Malik A. Mertz O. Fensholt R. (2016) Mangrove forest decline: Consequences for livelihoods and environment in South Sulawesi. Regional Environmental Change.DOI: 10.1007/s10113-016-0989-0. Malik A. Fensholt R. Mertz O. (2015) Mangrove Exploitation Effects on Biodiversity and Ecosystem Services. Biodiversity and Conservation 24: 3543-3557. DOI: 10.1007/s10531-015-1015-4. Malik A. Fensholt R. Mertz O. (2015) Economic Valuation of Mangroves for Comparison with Commercial Aquaculture in South Sulawesi.Forests 6(9): 3028-3304. DOI: 10.3390/f6093028. Malik A (2011) Studikelayakan areal penanaman mangrove kawasanpantaiDesaSanjai-PasimarannuKabupatenSinjai.Ikhtiyar 9(1): 1590-1597. ISSN: 1412-8535. Malik A (2010) Pemanfaatancitra Landsat 7 ETM+ dalampenilaianstokkarbonpadaekosistem mangrove.LaGeografia8(2): 45-52. ISSN: 1412-8187. Malik A (2009) Pengembanganwisatabaharikawasankepulauan Sembilan KabupatenSinjai.Ikhtiyar(Edisikhususharisumpahpemuda 28 oktober 2009): 118-127. ISSN: 1412-8535. Malik A (2006) Analisisharmonikpasangsurutdalampenentuan datum referensi di perairanTelukSololo Halmahera Tengah Maluku Utara.LaGeografia 5(2): 68-76. ISSN: 1412-8187. 2016 Journal reviewer for Journal of Biological Diversity (Biodiversitas) (on going). 2016 Journal reviewer for British Journal of Applied Science and Technology. 2016 Journal reviewer for Journal of Scientific Research and Reports. 2016 External reviewer for BiodiVERSA 2015 joint call.